Bedwetting isn’t a highlight of childhood. Or parenthood. But it’s something that most families have to deal with. 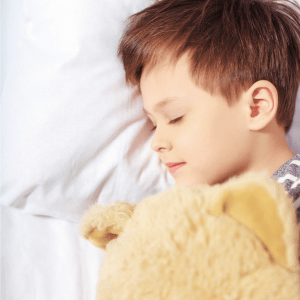 Here are some tips to overcoming bedwetting and making the process easier for the whole family. Up to the age of 5, bedwetting is considered completely normal. There are some things you can do to increase your child’s odds of staying dry, such as avoiding any sugary or caffeinated drinks after dinner and having them urinate twice during the hour before bed. And there are some things you can do to make nighttime cleanups quicker, such as using waterproof bedding and pull-ups. But you probably don’t need to start a bedwetting treatment just yet. However, if your 6-year-old is still frequently wetting the bed (not just having an occasional accident) the chances of them reaching dryness without intervention are much slimmer. In fact, the spontaneous remission rate for bedwetting is only 15% a year, meaning that if your child wets the bed currently they’ll probably still be wetting a year from now. A variety of factors can lead to bedwetting. Most of the time it’s simply that the child’s brain has not yet learned to respond to the sensation of a full bladder. Sometimes bedwetting is caused by stress triggers. Sometimes it has a medical cause. Stress triggers for children are often the result of family changes such as the birth of a sibling, the death of a family member, or parental fighting/divorce. Starting a new school or moving can also be a major stressor for children. Probably the most common medical cause of bedwetting is constipation. Sometimes children can be constipated without them or their parents realizing it. If you think this is the problem, make sure your child eats lots of fibrous fruits and veggies. Other medical causes include sleep disorders (the child is a “deep sleeper”), urinary tract infections and juvenile diabetes. Bedwetting alarms have the highest success rate and lowest relapse rate of any bedwetting treatment. Typically, a moisture sensor is clipped to your child’s underwear so the alarm can go off as soon as wetting occurs. Over time, this will condition your child’s brain to respond the feeling of a full bladder. This speeds up the process your body naturally uses to overcome bedwetting. 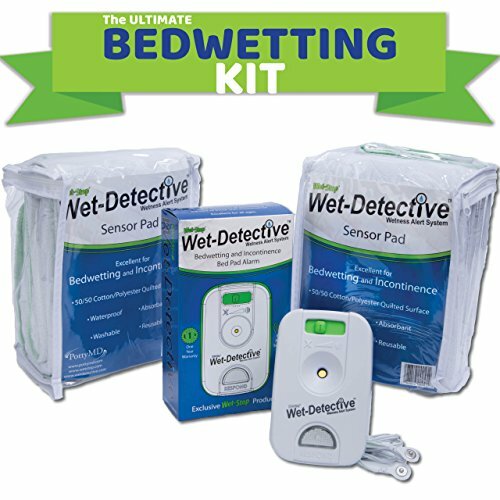 The three main types of bedwetting alarms are wearable alarms, wireless alarms, and bell and pad alarms. With bed and pad alarms, children lay on a moisture sensitive bad that goes off after they wet. Because this type of alarm can’t be clipped to the underwear, its response is delayed. These alarms are no longer recommended, though parents who used them as a child may prefer them. Wearable alarms are the best for deep sleepers as they sound and vibrate, which will wake just about anyone. Some light up too, for good measure. Wireless alarms are best for children who don’t want to wear an alarm. 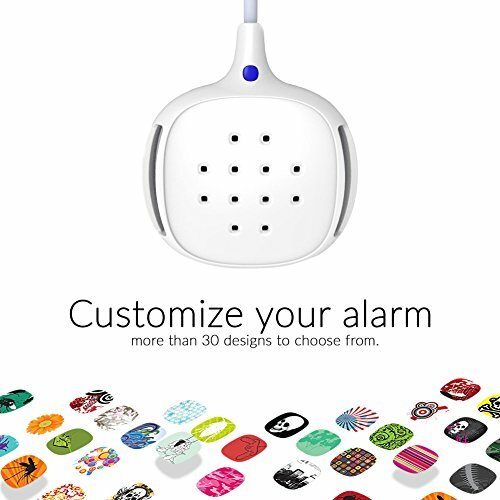 Parents have the option of an alarm with dual receivers, so they can put one in their child’s room and one in their room. This allows parents to wake up with their child to take care of any nighttime cleanups.